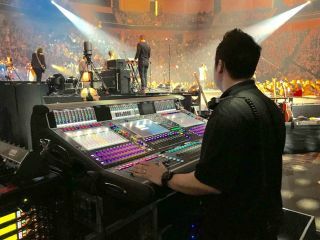 Group One Limited, the Long Island-based U.S. distributor for a number of top pro audio and lighting manufacturers, has named Kyle McMahon as its new training and support associate for DiGiCo, as well as the KLANG:technologies, XTA, and MC2 brands. Group One President Jack Kelly made the official announcement. Based in the Indianapolis area, McMahon is not only being tasked with on-site customer trainings following purchases, but continuing to expand and develop DiGiCo’s Masters Series trainings as well. He is responsible for further developing the company’s curriculum to reach every level of user — basic, intermediate, and advanced — and expanding the reach to more locations across the U.S., continuing Group One and DiGiCo’s shared goal of providing the industry’s highest levels of training.